The Metro South region is particularly proud of its innovative community-based schools. Many new public and private schools provide exceptional technology and preparation for the children of the region. Higher education is attainable within the region at Bridgewater State University, Massasoit Community College, and Stonehill College. Harvard, MIT, Brown, UMass Boston, and many prestigious universities are within minutes of Metro South. For more information on the workforce and higher education visit Tools for Hiring, Training, and Retaining. 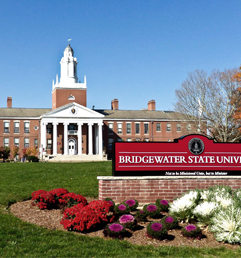 Founded in 1840, Bridgewater State University is one of the oldest institutions of higher education dedicated to teacher preparation in the Unites States. Bridgewater State is a comprehensive public university offering majors in arts and sciences, management and aviation science and educational disciplines. The 235-acre campus is conveniently located near the intersection of I-495 and Route 24 and is home to an MBTA stop, making it easy for commuters. Bridgewater State University enrolls 8,778 full-time/part-time undergraduate and graduate students. The university employs 264 full-time faculty members of which 82% have doctorates. The university is also home to the John- Joseph Moakley Center, which enhances education trough technological applications. Curry College is a private, professionally oriented, liberal arts based institution serving approximately 2,000 traditional full-time students, 1650 adults in continuing education evening programs, and 500 adults enrolled in graduate degree programs. Curry offers undergraduate degrees as well as graduate degrees in business, education, criminal justice, and nursing. With its outstanding faculty, small personalized classes, quality customer service and an educational environment focused on learning and growth, Curry College offers a well-established tradition of excellence. 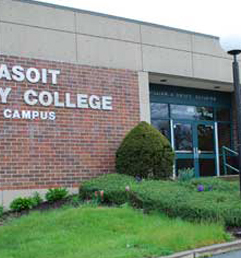 Massasoit Community College is a comprehensive two-year college offering associate degrees in arts and sciences, as well as one-year certificate programs. At campuses in Brockton and Canton, the college provides courses in the liberal arts, health, engineering technologies, and business fields. Credit and non-credit continuing education courses are also available. The Brockton campus includes a Fine Arts building with two theaters, TV studio, radio station, field house with an Olympic-sized swimming pool, modern classrooms and labs, and an extensive library. 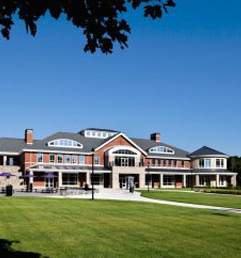 Founded in 1948, Stonehill is a competitive, Catholic, coeducational college of 2,100 students. Ranked consistently as one of the top two regional liberal arts colleges in the North by U.S. News & World Report, Stonehill offers Bachelor of Arts and Science degrees in over 30 major subject areas within liberal arts, science, and business. 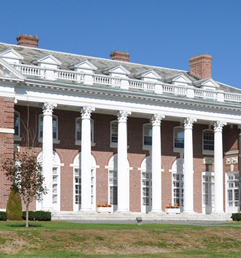 Stonehill also offers a Master of Accountancy degree. The Campus is located on 375 acres of beautifully landscaped grounds. Among the facilities are the MacPhaidlin Library Lockary Computer Center, and the Joseph W. Martin, Jr. Institute for Law and Society. 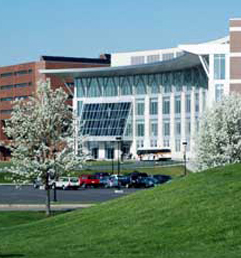 The University of Massachusetts system was formed in 1991. Today, the University of Massachusetts Boston sits on 177 acres of Columbia Point, and has an enrollment of more than 16,000 students with 900 faculty members and 150 academic programs for undergraduate, graduate, and non-degree seeking students. Recognized for its innovative research addressing complex issues, the University of Massachusetts Boston, metropolitan Boston’s only public university, offers its diverse student population both an intimate learning environment and the rich experience of a great American city. The University of Massachusetts Dartmouth has a student body of over 9,150 students. It offers more than 61 undergraduate programs of study and 32 graduate programs and more than 300 full- time faculty. UMass Dartmouth specializes in training engineers, health care workers, marine scientists, teachers, performing and visual arts, business people and graduates in liberal arts. 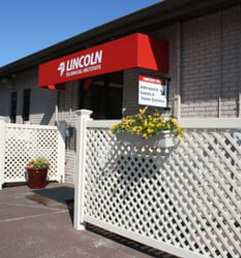 Lincoln Technical Institute has been helping adults transform their lives through professional Technical training for more than 60 years. Offering hands-on training from industry experienced instructors, assistance with resume preparation, interviewing skills and employment opportunities, Currently enrolling students for Medical Assistant, Medical Administrative Office Assistant, Massage Therapy, and Network Communication Information Systems with Microsoft. Lincoln Tech’s Brockton Campus is accredited by the Accrediting Council for Independent Colleges and Schools, ACICS. Fisher College is a private, four year institution offering a wide variety of bachelor, associate and certificate programs. It has a proud century-old tradition of delivering a premier educational experience. With small class sizes, committed faculty, supportive environment few other colleges can mathc. With locations in Boston, North Attleborough, and New Bedford, Fisher’s flexible online, evening and weekend schedules are perfect for the working professional. Sullivan and Cogliano Training Center, located in Brockton, nationally accredited through the Council on Occupational Education. It is a career-ready computer training institution with the core purpose of improving people’s lives by meeting them at life’s crossroads and providing paths to meaningful employment. Since their inception in 1993, Sullican Cogliano has graudation over 12,000 career-study students, placed over 85% of graduates, produced a 94% student grade point average and achieved an 85% graduation rate. Porter and Chester Institute (PCI) is a postsecondary school with over 60 years experience providing technical, business, and health related career training. Founded in 1946, PCI trains over 3,000 students annually through nine campuses located through Massachusetts and Connecticut. The Canton campus is accredited by ACCSC and is licensed by the Commonwealth of Massachusetts Department of Education. Programs offered include Automotive Technician, HVACR, Administrative Health Specialist, Dental Assisting, Medical Assisting and Practical Nursing.